Hey, remember Hurricane#1 from a few years back? They had that song... uh, well, anyway their former frontman, Alex Lowe, has gotten around to thinking it's time to impress us with his second solo album. The whole singer-songwriter scene has always been popular, and the number of talented singer-songwriters has improved drastically over the past few years meaning the standards are high. Clearly someone who knows a good tune when he writes it, Mr Lowe's latest collection, "Boys United Never Die", thankfully doesn't disappoint. It may not be made up of ten tracks that make you gasp with amazement each and every time you hear them, but he is doing something right. Another plus towards him is that he is a strong singer and a competent songwriter. Not straying from the mould set by the countless legions of this style that went before him hasn't done him any harm in the slightest either. 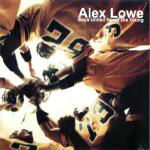 Unite with Alex Lowe for a while and he promises you will never die young.